[email protected]: Crazy Cool Tech Or Scary Concept? Call it the Androidification of our homes. If you like the Android operating system in your hands, on the go, on your lap, well then Google would love for you have it on your exercise bike, microwave, vacuum cleaner and every other appliance in your house as well. 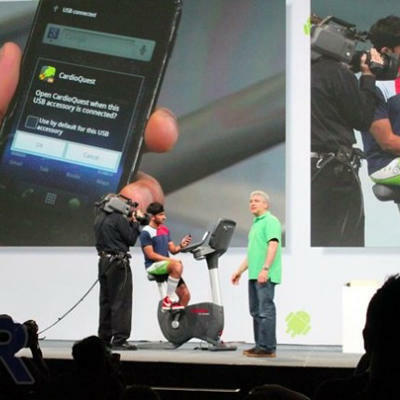 The company showcased a number of those ideas today during its keynote presentation at Google I/O. The thinking behind this is ambitious, and the promise is big. Huge, in fact. Imagine a cohesively networked home that can seamlessly interact with your mobile device. When you leave, your home network knows that you’re not on the premises (thanks to that handy GPS in your phone), so it shuts off your lights and any curling iron, stove, oven or running faucet left on by accident. Your device could measure your level of activity throughout the day, and tailor a nutrition and exercise regimen using that data. Heck, if your fridge is networked, the system could scan the RFID codes of what’s on your shelves and automatically add them to a syncable shopping list, so you never forget to buy milk when you’re at the supermarket. What about adding a calendar event for that hot date? That way, Your [email protected] apartment could have soft lights and music turned on and ready at a particular hour. Imagine more Android-enabled appliances and electronics, or an Android Market for the home, with programs that can give you a ridiculous amount of automation and convenience features. The possibilities are really endless — anything that appliance makers and developers can imagine would be within limits. And it could all be powered by a single operating system. But it’s that last part that’s enough to elicit a “yikes” for some people. To explain, let’s take a quick look at two things looming large in the news cycle today outside I/O. First, the U.S. Senate judiciary subcommittee had a hearing today over privacy concerns sparked by the revelation that mobile devices may be collecting location information. Reps for both Apple and Google were present at the hearing, whose intention is to see if outdated privacy laws governing technology need to be updated. The second is the news that Android malware has grown a whopping 400 percent. Juniper Networks released a study that revealed this finding and outlined a range of malicious attacks, including app download–related viruses and SMS trojans. Now imagine public concern over technology that knows every nook and cranny of your life — including when you sleep, leave the house, or get romantic. (After sitting at home for a string of Saturday nights, will your phone increasingly dish out Match.com ads or something?) 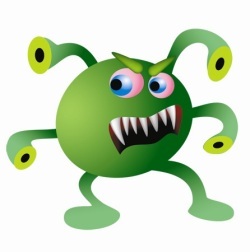 And what would next-generation [email protected] viruses look like? I’d be afraid to come back to my apartment. Don’t get me wrong — as a lifestyle editor, I’m excited about where [email protected] could go, what it could inspire and how all that could impact the way we live. But I can also see some important concerns that will have to be addressed (and very publicly) before these innovative concepts get to the next level. 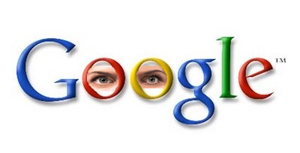 Otherwise, this could be another Google Wave — a once-cool idea that’s now on the scrap pile. What do you guys think? Do you have any Big Brother fears or security concerns? Should Google even be messing with home gear at all, instead of focusing on its social, web, desktop and mobile initiatives? Or are you intrigued and enthralled with the idea of a “Google Home”? Weigh in with your thoughts below. For more on Google I/O, be sure to hit up TechnoBuffalo’s coverage here.